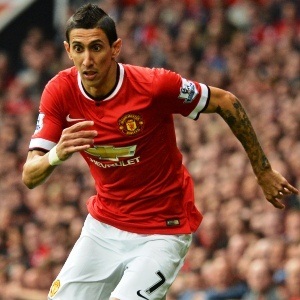 Cape Town - Former Manchester United defender Paul Parker says Argentine winger Angel Di Maria needs to leave the club if he is to rekindle his best form. The Red Devils' record signing has endured a difficult first season in Manchester both on and off the field. The player has been unsettled after a home intrusion and compounded his own misery by seeing red during Manchester United's FA Cup defeat at home to rivals Arsenal. Parker does not blame Di Maria for his poor form but rather shifted the blame on Louis van Gaal's style of play according to the Express. "The only way it is going to work out for Di Maria, the only way he is going to get back to being the player he was before, is to move on," Parker told Eurosport. "The way things are going at Manchester United, he is not going to progress as a player because the team are playing horribly and you can’t see how that situation is going to change. "PSG would suit him nicely, as would going back to Real Madrid. "In England, Arsenal are the best fit for the way they shift the ball around quickly in midfield, but even Chelsea would be a better home for him than United as they are a bit more expressive now, while United have gone from being one of the most flamboyant teams in the Premier League to being in the bottom half of the table for excitement." Parker played 105 times for United between 1991-1996.